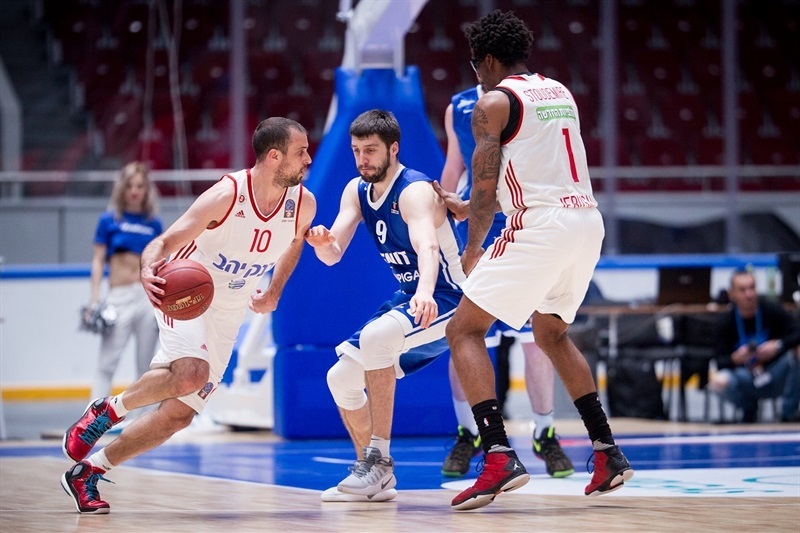 Zenit St Petersburg routed Hapoel Bank Yahav Jerusalem 101-81 Wednesday at Yubileyni Arena to assume first place in Group G. Both teams have identical 2-1 records, though Zenit is now ahead of Jerusalem on the tiebreaker. 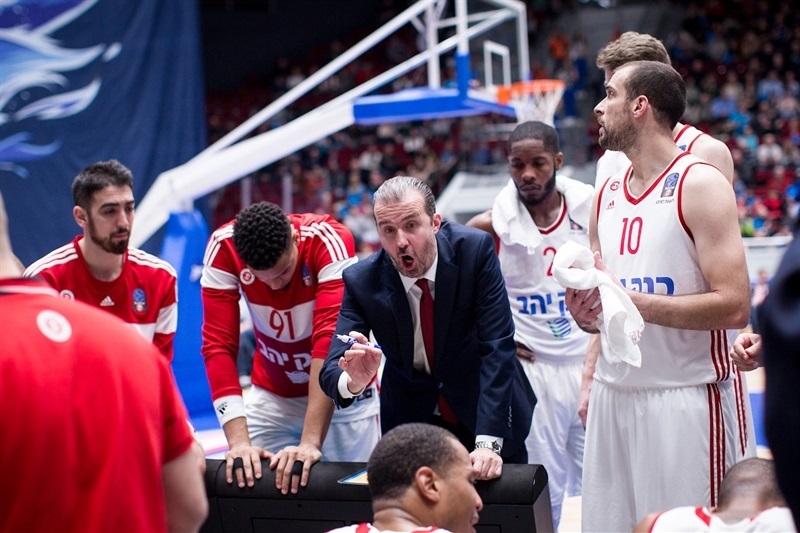 The two teams will meet again next week in the Israeli capital with first place at stake. 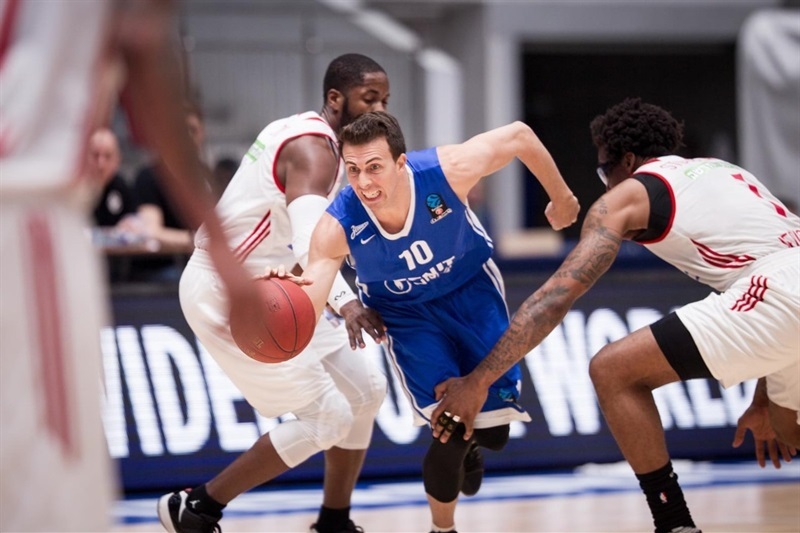 Zenit never trailed, but Jerusalem remained within striking distance until midway through the third quarter when the hosts held Jerusalem without a basket for a stretch of more than seven minutes that extended into the fourth quarter. 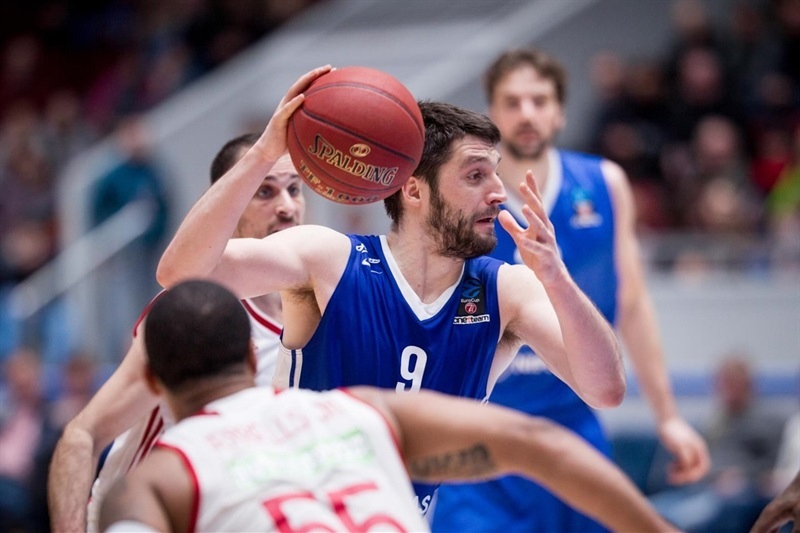 In that time, Zenit outscored Jerusalem 18-1 to open a 23-point lead, from which it cruised to victory. In addition to its marvelous shooting numbers – 29 of 37 on two-pointers (78.4%) and 11 of 22 on threes (50%), Zenit dominated the glass 31-16 had more than double as many assists as its opponent (30-14). Zenit tied its club records for most assists and highest performance index rating (117) in a EuroCup game. Ryan Toolson led the attack with 28 points on 6-of-9 three-point shooting, Kyle Landry scored 17 points in 16 minutes, Stefan Markovic tallied 16 points, 6 assists and 3 steals and Janis Timma added 13 points for the winners. 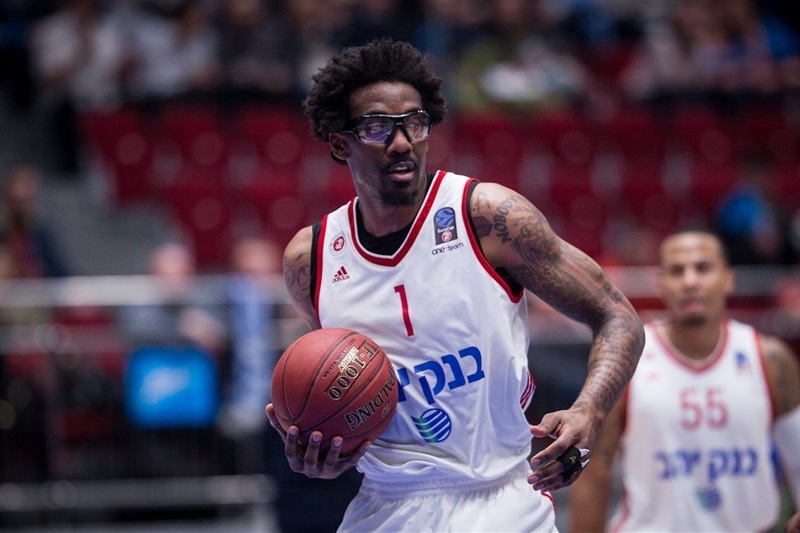 Amar’e Stoudemire led Jerusalem with 22 points, Tarence Kinsey scored 17 and Jerome Dyson had 13 in defeat. 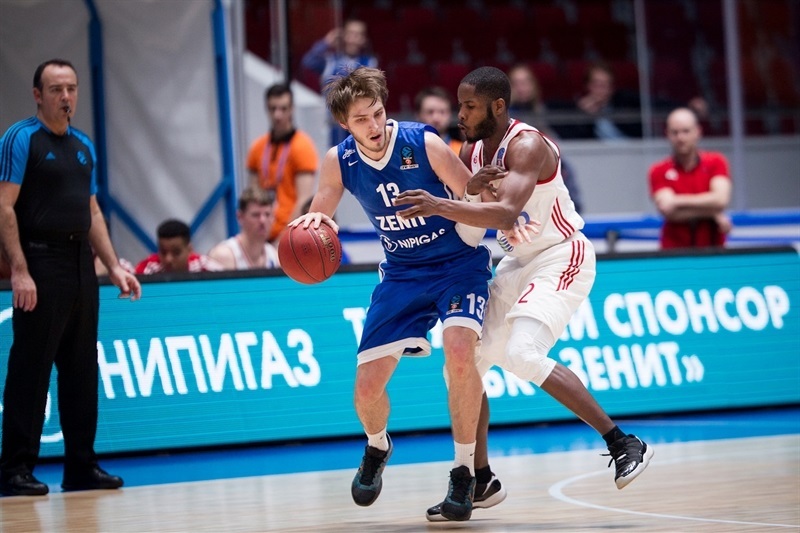 Pavel Sergeev scored twice to help Zenit to a 6-2 start, but before long Jerusalem tied it on a Stoudemire slam. A second-chance three-pointer by Toolson put the hosts up 14-9 and his next triple extended the margin to 7 before Anton Pushkov’s buzzer-beater ended the first quarter at 25-16. Timma struck from downtown to give Zenit its first double-digit lead, 28-18, early in the second quarter. The margin reached 35-23 on another Toolson triple before Yotam Halperin assisted on all the points in a 0-6 Jerusalem push to halve the deficit. 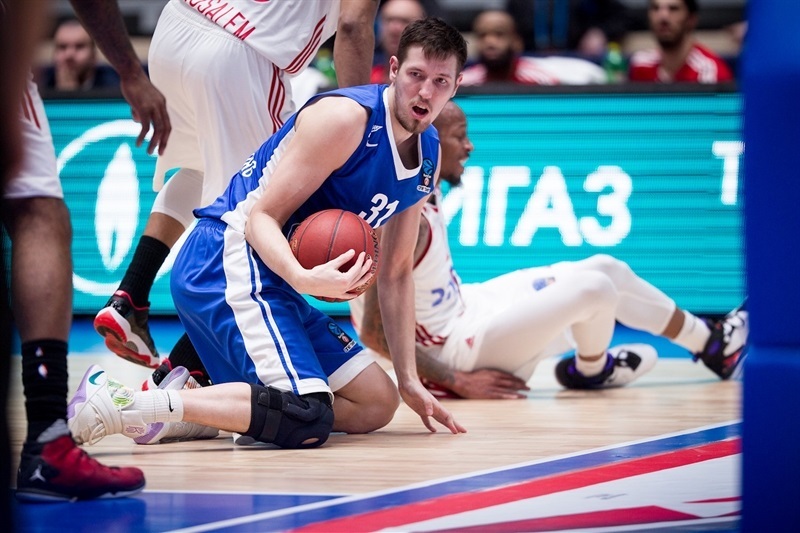 Halperin connected on a four-point play to bring the visitors within 40-36, but Toolson scored on Zenit’s next two possessions and later, with his fifth three-pointer of the half, restored a double-digit margin. The visitors closed to 52-44 at the break. 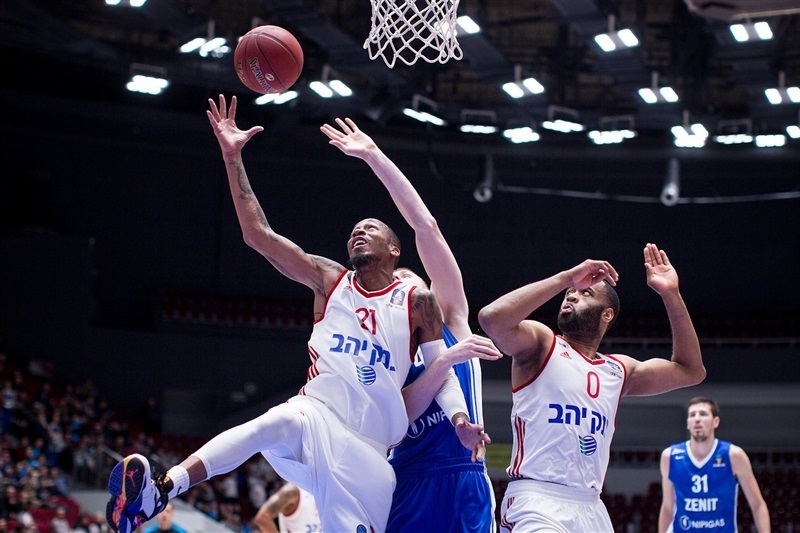 Zenit pushed the lead back to 12 four minutes into the second half, but Stoudemire made 4 free throws in a 0-7 Jerusalem run to get within 63-58. Toolson’s first basket of the second half was a three from the corner that reestablished a double-digit advantage. Sergey Karasev buried a three and a long jumper and then assisted on Aaron White’s basket that gave Zenit a 77-62 lead at the end of the third quarter. The hosts scored the first 6 points of the fourth quarter to conclude an 18-1 march that made it 85-62 and put the game out of reach. Sergeev took the Zenit total into triple digits as the hosts cruised to a convincing win. "A very important victory with a comfortable scoring difference. Today we played a solid team with a star, Stoudemire. We managed to win because of our team play. Hapoel has a lot of star players and plays more individually. And our players made 30 assists, which says a lot." 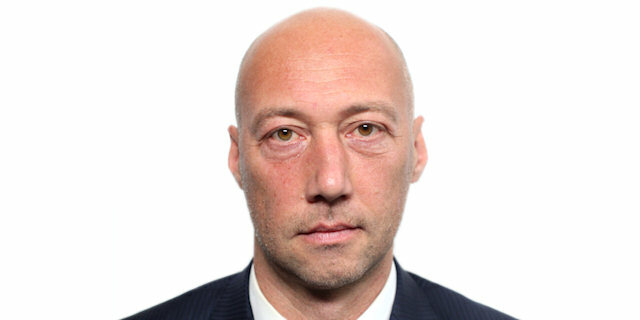 "In the first half we let Zenit score in very different ways as we were late on pick-and-roll situations. We started the second half with less energy and if any team lets Zenit play in such way, they can score a lot versus any opponent. "